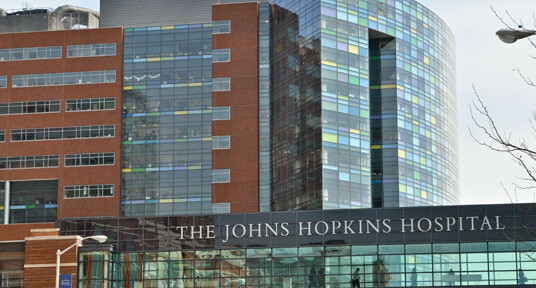 Johns Hopkins Hospital spared no expense on the $1.1 billion medical complex it opened in 2012. The two buildings that comprise the complex — the Sheikh Zayed Tower and the Bloomberg Children’s Center — are packed with amenities befitting the billionaires who helped fund the 1.6 million square foot facility. Unfortunately, one thing hasn’t changed at Hopkins. The hospital still pays poverty wages to caregivers. More than 500 workers at America’s #1 hospital make less than $11.47 an hour, the poverty rate for a family of four. The lavish towers and the low-paid workers who toil inside them are a potent symbol of the inequality that scars America. Hardship at Hopkins was a project of the 2,000 caregivers at Johns Hopkins Hospital united in 1199SEIU. It was the website for our 2014 contract campaign, which lifted standards for Hopkins caregivers and for healthcare workers across Baltimore. A public information project of 1199SEIU. Copyright © 2014, Hardship at Hopkins. All rights reserved.